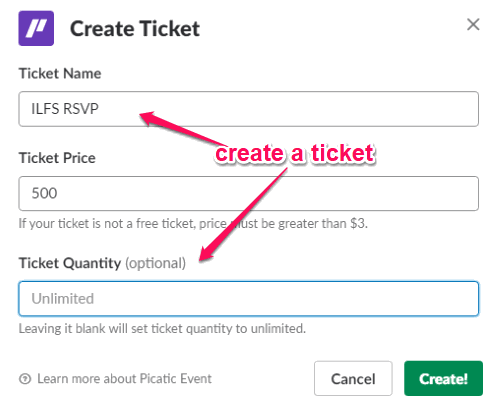 In this post, you will learn about a simple method on how to create events and sell tickets in Slack. 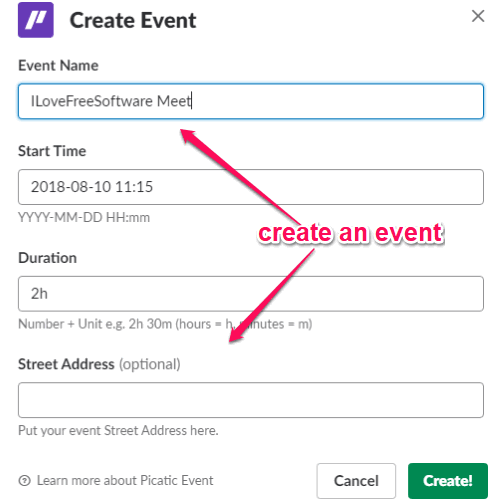 There is actually a free Slack app called “Picatic” which can help you easily create events and share them with your team members or channels. It also allows you to add multiple tickets for a single event and then sell them directly from Slack. Creating an event using Picatic is pretty easy, as all you gotta do is run a simple slash command and then enter the details of the event. After you create an event, it will provide you with a link which you can use to share the event. 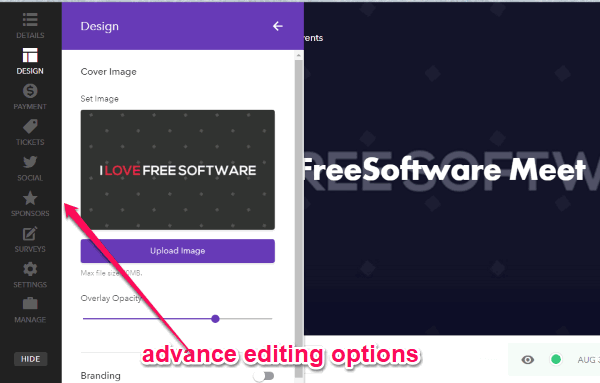 You will also find many advanced settings which allow you to add surveys to your primary event page, upload event photo, add event hashtags, sponsors, and much more. This is basically a one-stop solution for organizing your company events directly from Slack. To get started, open the “Picatic Integration” page and click on the “Add to Slack” button. After that, you would need to allow Picatic to access your Slack account. When you do that, the “Picatic” app will appear under the “Apps” section on Slack. Now, click on it and then you can see the option to authenticate Picatic. For that, you would need to click on the “Picatic API Key” link to generate and get the API key required for authentication. After that, type the slash command “/picatic auth” in the message field and hit Enter. As soon as you do that, it will open a small popup where you would need to enter the API key and click “Authenticate”. This will authenticate Picatic and you can proceed to start creating events and selling tickets in Slack. To create an event, simply open any channel you want and type “/picatic create” in the message field and press Enter. After you do that, it will open a popup window where you can complete the event by entering the event name, start time, duration, and the street address. Then click on the “Create” button and the event will be created instantly as a draft. After that, go back and select the “Picatic Event” app. Now, you can see the draft event along with the option to add tickets. Apart from that, you can click on the “Settings” button to edit the basic details about the event and add event summary. To add a ticket, simply click on the “Ticket” button and then it will open a popup window. After that, you can manually create a ticket by entering the ticket name, ticket price, and ticket quantity. When you’re done, click on the “Create” button and the ticket will be added to your event. This way you can create as many tickets as you want for a single event. You can also add free tickets by entering “0” in the ticket price field. Once you’re done adding tickets, simply hit the “Activate” button associated with the draft event. As soon as you do that, the event will go live and you can start sharing it with your team members or directly on the channels. The other users can see your event (with details like event name, time, date, location, etc.) and the option to buy the tickets in Slack. Do note that, to sell tickets for your event in Slack, you would need to connect your “Stripe” account first. For free tickets, you don’t need to do that. Remember, it is completely free to use, but if you sell tickets, then it will deduct a small percentage of around 2.5 percent of the sale. To get the ticket, you or anyone can simply click on the ticket name and then (after payment for paid tickets) it will provide you with a ticket containing the event name, guest name, date & time, a QR code, etc. 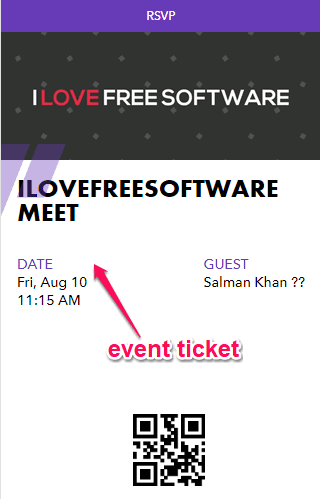 You can simply print the ticket or carry a screenshot while going to the event. At the bottom of the draft event, you will also see an “Advanced event settings” link which can help you customize other aspects of the event on the primary event page which Picatic creates. You can change the event photo, add surveys, add sponsors, ask questions, and much more. 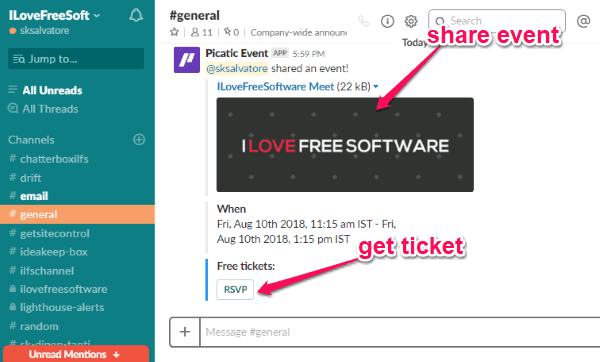 This is how you can create events and sell tickets in Slack. 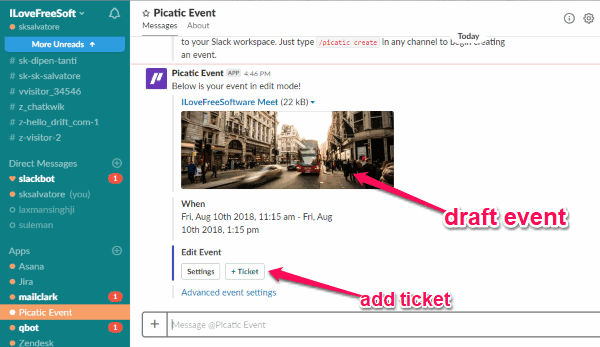 Picatic lets you easily do the same by letting you create events with a simple slash command in Slack. 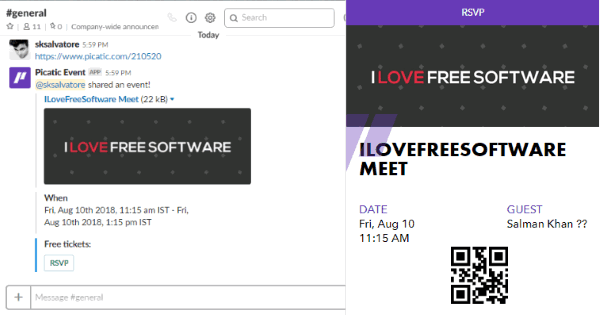 What I like about this free Slack app is that it provides one of the simplest ways to organize your company events right from Slack. 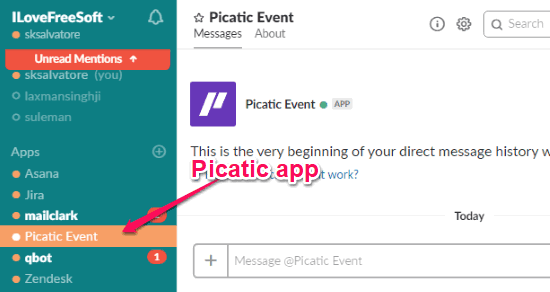 So, if you have a Slack team and want to organize an event, then you got to give Picatic a shot. Integrate “Picatic” with Slack from here.